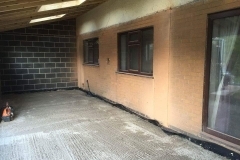 Heritage Builders Ltd operate as commercial builders in Leicester as well as dealing with domestic requirements, ensuring that we can meet your needs for all commercial property extensions, alterations, renovations and refurbishments. We’ve been in the business for more than 35 years now, and have developed a reputation for quality services and exceptionally precise and clean workmanship. 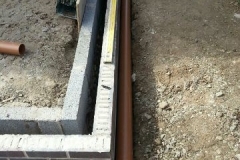 We can carry out new builds as well, so no project is too big for our skilled team. We’re equally used to advising clients when it comes to the ideal approach for extensions or alterations, so don’t feel you must come to us with a complete brief: we can help you create it. Heritage Builders guarantees quality, and we will also work to ensure continuity with all existing building work, both internal and external. Our professional builders bring a vast knowledge of factors that relate to the construction industry to the table, and make a point of keeping up to date with all current legislation too, even going as far as liaising with the local authorities in the Leicester area where necessary. Because of that, you can trust us to deliver a reliable and high quality overhaul to your commercial or retail premises that turns the brief you give us into a reality. Whatever your requirements for commercial builders in Leicester might be, the Heritage team would love to hear from you. Making alterations or extensions to commercial premises requires a number of specific considerations to be taken into account, and we have a history of producing commercial property successes, and we’ll do so efficiently and in compliance with all relevant regulations. So why go anywhere else? Contact Heritage Builders online or give us a call on 01509 814 123 and we’ll be happy to devise a best-practice solution to your building requirements.